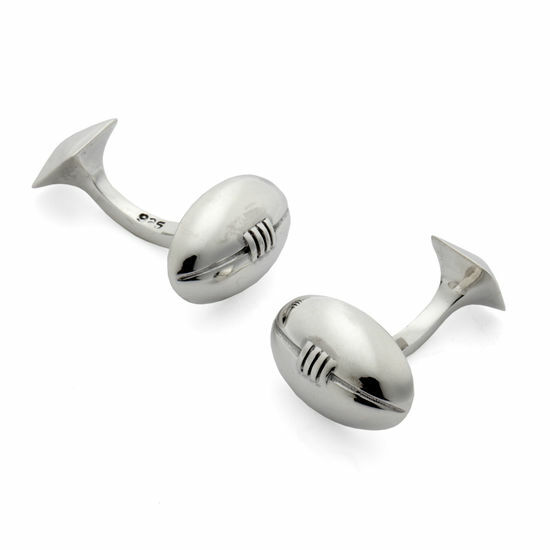 Bring a touch of fun to your formalwear with our Sterling Silver Rugby Ball Cufflinks. 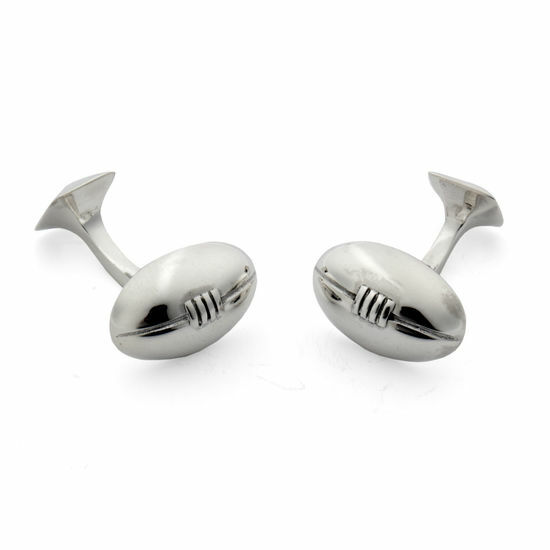 Featuring a meticulously designed rugby ball crafted from timeless sterling silver, they're the perfect addition to celebrate a big win or simply pay homage to your favourite sport. Square backs mean you can effortlessly secure the sleeves of your dress shirt. 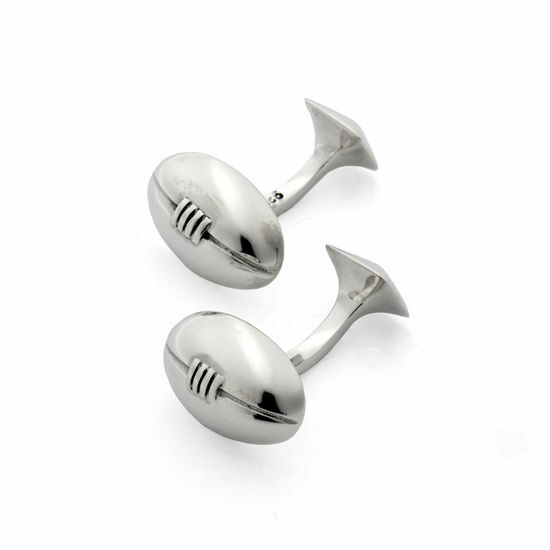 As with all of our cufflinks, these rugby-inspired pieces arrive in a sophisticated Aspinal jewellery presentation box, ideal if you are giving them as a gift.